Family My Heart Bangle Bracelet Just $7.99! Down From $20! You are here: Home / Great Deals / Family My Heart Bangle Bracelet Just $7.99! Down From $20! Girls, you’re gonna love this deal at Jane! Family My Heart Bangle Bracelet is now on sale for just $7.99 down from $20! Too precious to miss! Get it now! Make sure you have the perfect gift to give. This is such a sentimental piece. The name of a special someone surrounded by birthstones that represent a child, children or grandchildren, those that build your family and fill your heart with so much love. 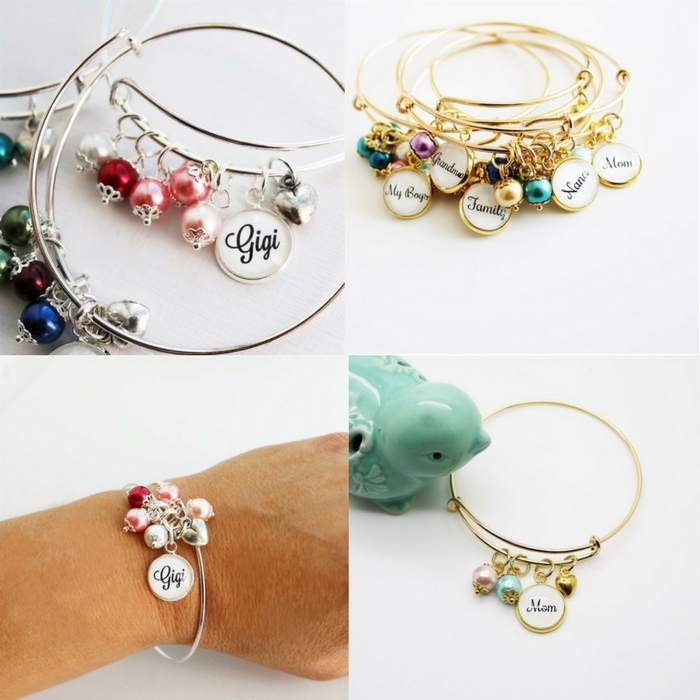 Choose up to 6 birthstone beads and a name of your choice, heart charm included.